Just because you have to work everyday, it doesn’t mean you can’t use some little details to bring a slight spirit of Christmas in your office too. 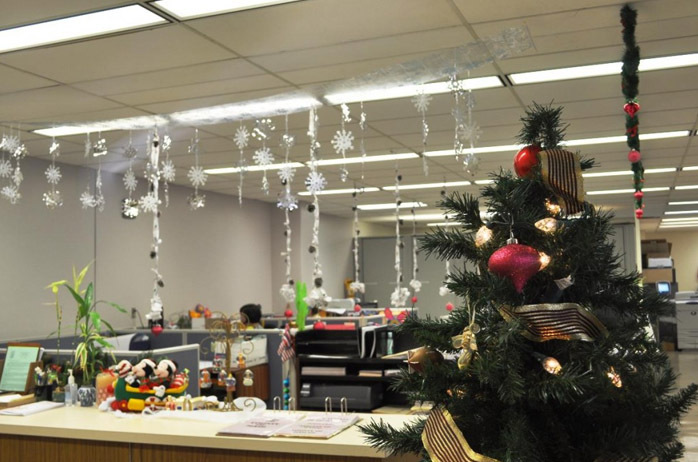 You don’t need to get the sparkiest or the biggest ornaments for your office, but you may definitely bring a smile on everyone’s faces with some small, yet effective decorations that set the mood for the winter holidays. You may go for the little, inflatable, Christmas decorations that bring just a bit of the merry spirit at your desk. If you’re not going for them, you can always display a happy Christmas gnome or some lighted small decoration that is going to do the same thing: announce the world you can’t for Christmas to come! Don’t hesitate to also use some stickers for the window. Beside the fact they’re not too obvious, they may work to set up the spirit for the most wonderful time of the year. Some candles, some decorations on the door may work wonder this Christmas in your office too. It all depends on how flashy you want to go. Whether you go for the big words (literally), or the more subtle decorations, you can definitely create a nice, warm, feel in your office now that Christmas is so close. For those of you who are brave enough to give a merry and fun vibe to their office this Christmas, a great way to do it is to use Beistle Christmas Elves Door Cover, 30-Inch by 5-Feet, Multicolor. 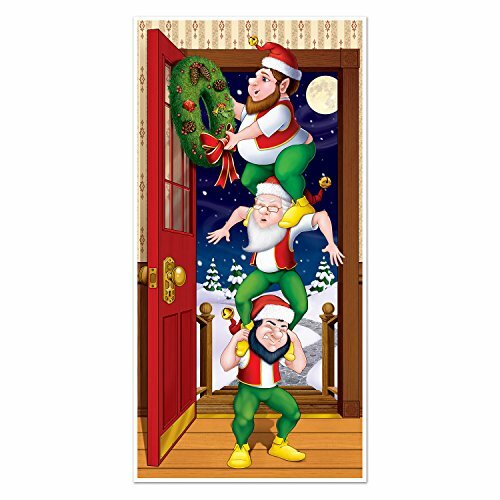 The door cover depicts three naughty and merry elves, on top of each other, while they’re decorating the door for Christmas. Made of plastic, the door cover is very nicely colored and the attention to the details is great. 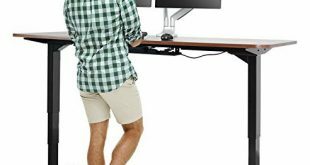 It looks fun and merry and changes entirely any office’s atmosphere. 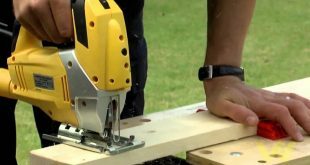 The door cover seems durable and as long as you fold it right, you’re going to be able to use the next years as well. The vibrant colors and the fun picture make the door cover a happy option for many offices. 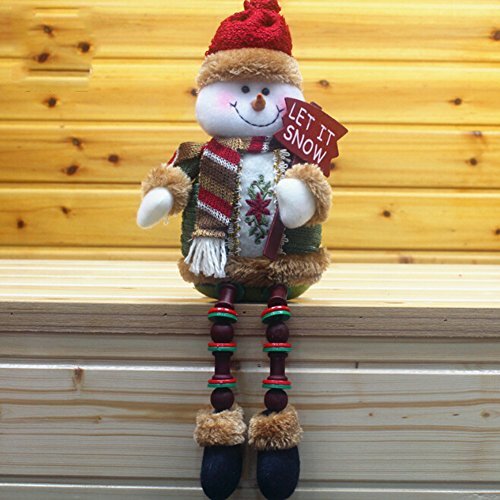 When you want to add a cute detail on some shelves around your office, the little Gaosaili Christmas Standing Figurine Toy Xmas Home Indoor Table Ornament Decorations (Snowman) makes it as great choice for many. The standing figurine is made with soft nap cloth so it’s not only pretty, but also easy to clean when in need. The figurine has a nice shape and brings a merry vibe, putting a smile on any kids or grown up face. It sits great and feel comfortable on any table, windowsill, bookshelf or night table. The many details, with nice and bright colors, help the little figurine stand out wherever you’d place it. On top of everything else, he’s holding a “Let it snow” sign that matches perfectly his pretty smile. Colorful and cute, the little figurine has a big effect, despite its size. 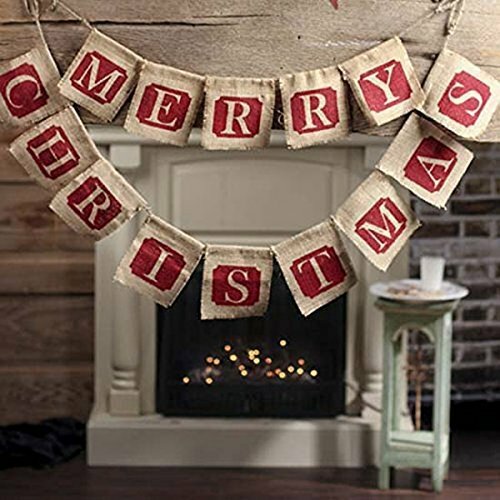 Made with soft fabric and having a vintage feel to it, the NUOLUX Merry Christmas Jute Burlap Banners,Christmas Banner,Christmas Decoration is a nice way to announce everyone around your office that you’re more than happy for Christmas this year, just like any other year. The letter are made with fabric and the string matches their color, for a better flow. The font is a dark red that contrasts very nicely with the dark cream. This is not a big banner, but it’s sure easy to notice due to its colors. It fits a traditional color theme and its untrimmed edges leave a vintage, dreamy feel wherever you’d display it. Nice and pretty, the burlap does a great job for a subtle Christmas message. 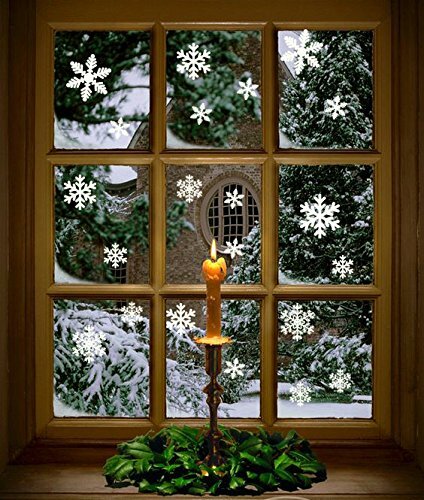 Easy to apply and looking very nice, the 81 pcs White Snowflakes Window Clings Decal Stickers Christmas Thanksgiving Decorations Ornaments Party Supplies (3 Sheets) are subtle and effective when it comes to setting up the mood for Christmas in your office. You get 81 snowflake window stickers that present 3 various shapes and 3 different sizes. There are 3 sheets and each has 27 snowflakes, different in shape and sizes. Even though they’re thin as paper, they don’t tear and hold up pretty well. The snowflakes are white and give a nice image, especially when it’s snowing outside. they are easy to apply and stuck well. 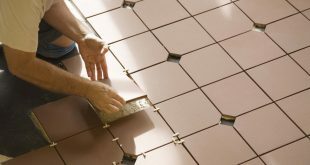 You may use them for glass storm doors, mirrors or other smooth surfaces. They are also reusable and you may store them for the future winter holidays as well. If you’re planning to do that, keep their backing and store them flat, in a cool place. 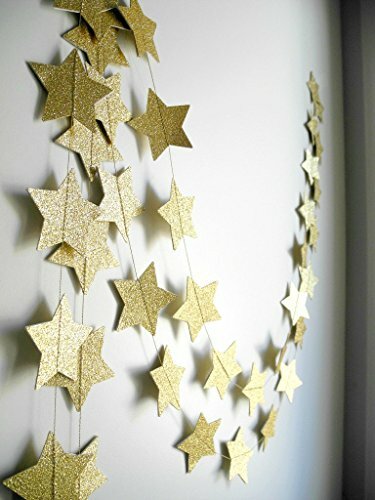 Add a classy sparkle to your office this winter with the 2-Pack,Gold star Garland, Golden Christmas galaxy banner, Twinkle Twinkle Little Star garland Christmas garland, Christmas decor, Gold Baby shower (4 inch in Diameter,13 Feet). The string is thin and subtle, but the stars are gold glittery so look even better when the sunlight is gone. The stars are made with high quality cardstock, whereas the string is made with tough gold thread. They are well sewn together and seem durable, despite their thin profile. Each string is around 6.6ft. long and it’s easy to display. The nice shimmer looks great, but it’s not reflective so the stars don’t show fingerprints or smudges. In case you’re hanging the garland, it’s good to know that each end has some extra thread. Pretty and shiny, the stars give a festive and classy feel to any office. Elegant and cute, the mini vintage Handmade Swedish Gnome Clock With Battery – Desk Quartz Analog Clock Home Decoration – The Ideal Gift Clock gives your desk a merry vibe with a pinch of vintage on the side. 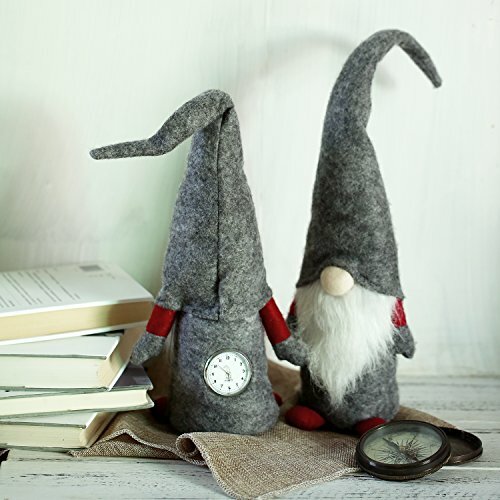 The gnome’s body and hat are made with grey soft felt, whereas its rounded nose is made of wool. The typical long beard is made with fiber fur and the wire within the very tall hat lets you give him the best looks. As the bottom is weighted, the gnome stands on his own. The back of the gnome hides a cute little clock that is both nice and functional. The clock is silent and runs on battery that is easy to change when in need. Functional and so cute on any desk, the gnome has a vintage, Christmassy vibe that you may want for your office this year. Colorful and versatile, the Christmas Decoration. 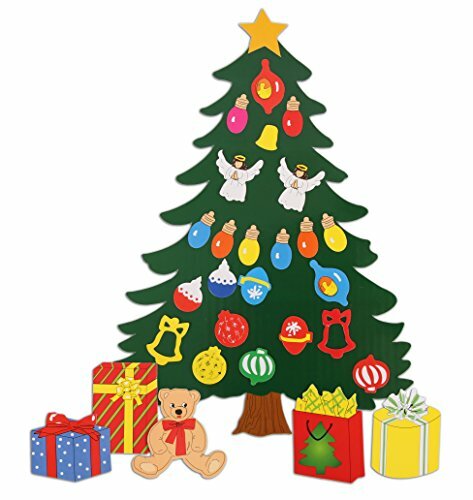 Animated Tree Magnet Set. Perfect for Winter Decorations. Fridge, Metal Door, garage, classroom. Give as Gift. Ornament Décor. make a cute display on some metal surfaces around your office. Easy and fun to use, the magnets are merry and pretty colored. They look at best when displayed on a white surface. 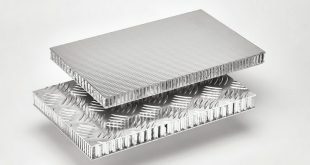 They cling easy and are heavy-duty magnets that stuck very well on the metal surfaces. 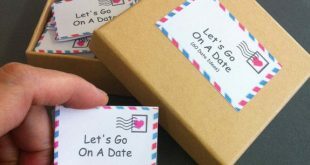 The magnets are made of die-cut vinyl and take the intense use. You may change their place every day as they’re easy to move and combine great. The magnets are separate so you don’t have to worry about ending up with a boring display this Christmas. Colorful and merry, they simply look adorable. 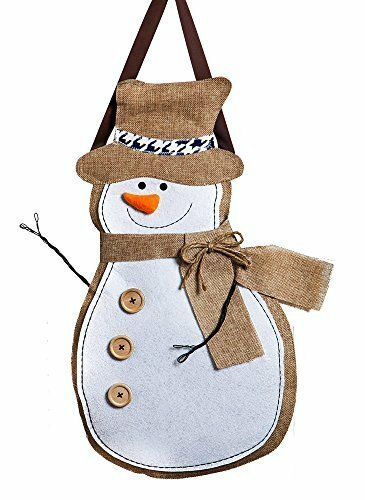 Give your office a rustic feel this Christmas with the Evergreen Snowman Burlap Door Decor by Evergreen Enterprises. The decorative door hanger is subtle and has earthy colors and white accents. It’s stylish and effective, without being too obvious. It’s made of medium-weight, poly-burlap fabric and looks cute on any door. It has embroidered details with several fabric pieces. Its grosgrain ribbon allows you to easily hang it on your door. Despite its delicate appearance, the door hanger may be used both indoor and outdoor. It’s cute and merry and welcomes anybody entering your office this Christmas. When it comes to snow globes, nobody can deny their powerful magic so you only need a delicate one like the Musical Angels Christmas Holiday Snow Globe to add a bit of whimsical into your office. The snow globe itself isn’t very big, but it shows the Baby Jesus, all happy and cute. 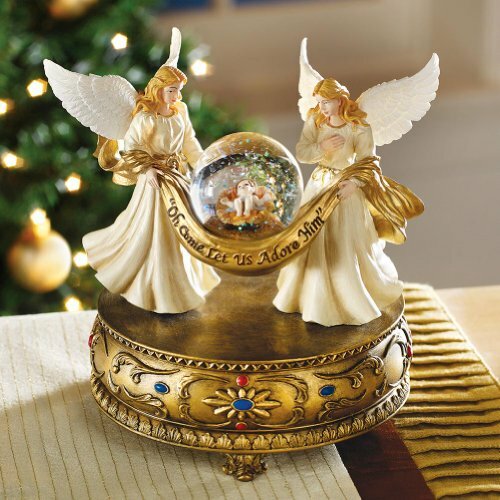 Two blonde, beautiful white angels are holding the snow globe, protecting the Baby Jesus and spreading the great news. You only need to turn the key in the base to hear it play “O, Holy Night”. Made of resin, the snow globe is elegant with its gold details and the small and subtle colorful details on the base. It looks nice on any desk and leaves a magical feel around. If you’re going for the religious, yet subtle theme this Christmas, a warm decoration for your office would be the LED Flameless Nativity Candles – Set of 3. The set presents three ivory-colored LED candles that are placed on a beautiful wood-like base. 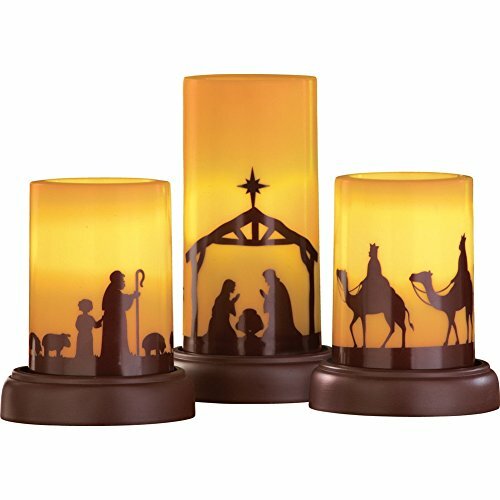 The candles feature sophisticated nativity silhouettes. The LED candles give a warm glow and they’re very safe to use around all that paper, as they don’t include any open flame nor some melting wax. The decoration is easy to operate as it has an on/off switch and you may need 2 AA batteries. The candles are made with plastic, resin, and don’t break that easy. They look nice and are a subtle reminder that Christmas is on the way. 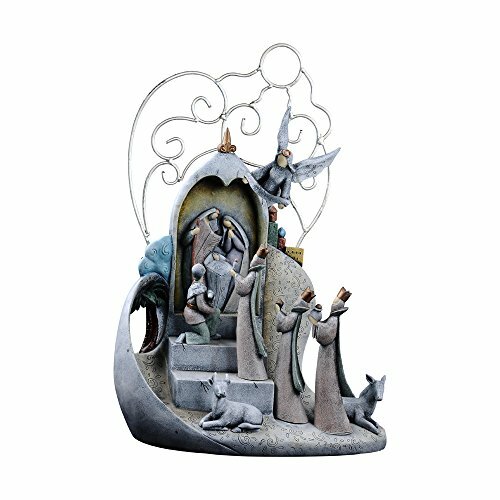 Make a statement this Christmas in your office with the Comfy Hour Holy Family Christmas Nativity Scene Figurine, Large. The nativity scene has a dramatic feel and it’s quite powerful. It’s made of stone resin and is painted with subtle, grey hues. Its gold accents look nice and give its sophisticated, elegant feel. 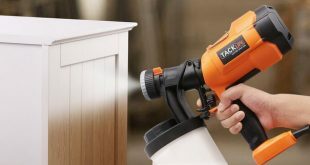 The craftsmanship is impressive and the scene sits sturdy wherever you’d place it. Special and powerful, the nativity scene changes the feel around any office. 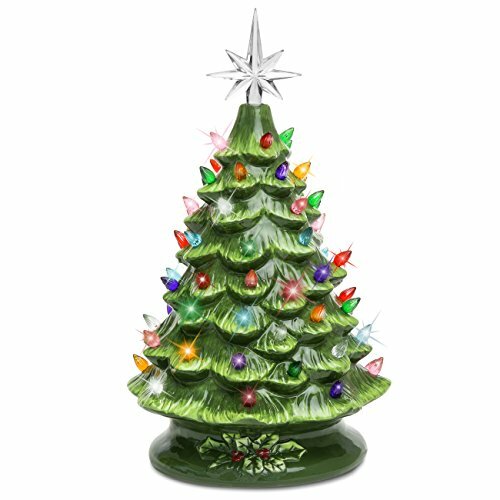 When you’re going for the sparkly and colorful vibe in your office for Christmas, don’t hesitate to give it a go with the Best Choice Products Prelit Ceramic Tabletop Christmas Tree W/ Multicolored Lights. The Christmas tree has a 15” ceramic body and its glossy finish looks nice during the day and at nighttime as well. It’s great to use it as a tabletop décor and may be the only decoration you need for your desk. The tree is decorated with 50 multicolored bulbs (C7) and features a 7-pointed star topper. You don’t need any batteries for the tree as it has a 5’ built-in power cord and a power switch. Therefore, the tree is very easy to use. The decoration is UL-listed so it’s safe for the indoor use. Made with ceramic and presenting nicely colored details, the tree is a great option to prepare your office for Christmas. Bring an old fashioned wintertime vibe to your office with the Holiday Lantern Candle Holder White Christmas Decorative Centerpiece with Snowman (10.5″ Small, White). The hand-painted holiday lantern is made with wood and glass and brings a festive décor wherever you’d place it. 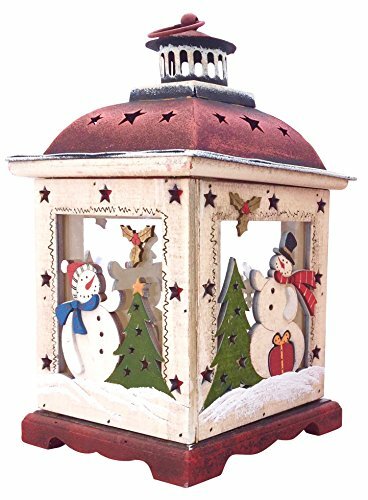 It represents tumbling snowflakes; happy snowmen and snow lade fir trees on a rustic lantern that is made of antiqued wood&tin. The craftsmanship is amazing and the lantern has a durability feel attach to it. It has a whimsical feel to it and the antique red and white increase its magical effect. The lantern is 16” tall and 9” wide and its large ring attached on top lets you hung it as a decoration as well. Whether you lay it on a tabletop, or down on the floor, the lantern looks amazing and spreads a magical feel this Christmas. The decoration is made with PVC and the figurine is made of resin, so the entire piece is durable and well made. 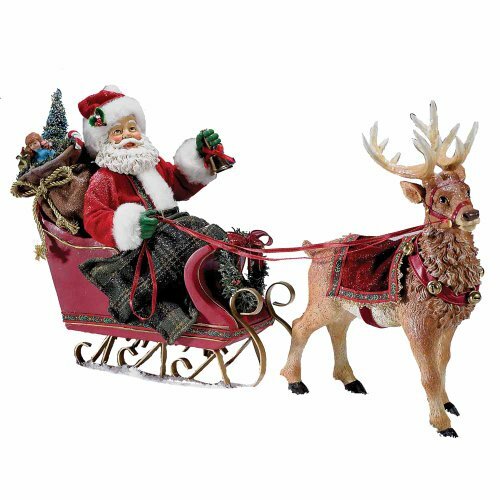 The decoration piece illustrates a joyful Santa in his sleigh, while spreading all the gifts in his bag. His reindeer looks nice and the attention to details is impressive. All the details are carefully made and the colors are very well picked. Santa sits snug and warm under a colorful plaid blanket, whereas his sleigh has so many beautiful red details. The red and white suit is elegant and fun, and the bag of gifts is so full. The reindeer is a great companion, as its red harness, red blanket and all the jingle bells complete the pretty team. Well-made, colorful and durable, the decoration is an everlasting, classic piece to use for your office décor every single year from now on. 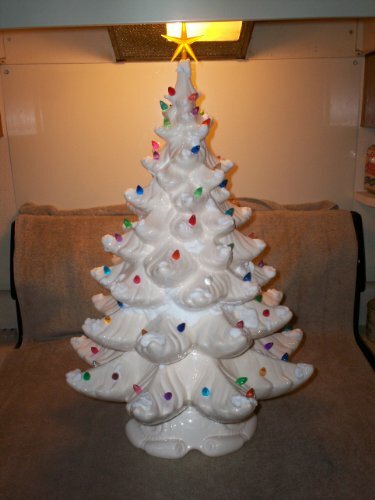 The Ceramic Christmas Tree 25 Inches Tall and Lights Up may become the center of attention this Christmas and catches everyone’s eye. The tree is made of ceramic and its white color has a nice glossy finish that looks very elegant during the daytime and at night as well. The colorful light bulbs give a nice contrast and the tree looks amazing once it’s lit. The bulbs are replaceable and easy to remove when in need. The star on top gives a yellow light, which is bright and sets the peaceful feel for Christmas. The tree has an electric cord and works well. Elegant, impressive and durable, the Christmas tree is the only item you need for your big office this year.